Family fishing off of dock. One thing that can surely be said of fishermen is that they're always looking for ways to catch more fish. The phases of the moon have been known to affect fish behavior since John Alden Knight published the first solunar tables in 1936, and many anglers swear by their importance when it comes to catching more and bigger fish. Solunar tables and calendars are widely available in print and online, and they contain two separate and important pieces of information. The first is the exact time that the sun and moon rise and set each day. Fish are most active during a 90-minute window surrounding sunrise, sunset, moonrise and moonset. These windows of time are known as major periods. Fish are also active during the intermediate time halfway between each rise and set. These are known as minor periods. The second piece of information contained in solunar tables and calendars is the phase of the moon. Moon phases are important because they determine the intensity of each major and minor period, with the greatest effect occurring on days of a full moon or a new moon (when no moon is visible). So, using the moon as a guide, the best time to go fishing is during a minor or major period on the day of a full or new moon. 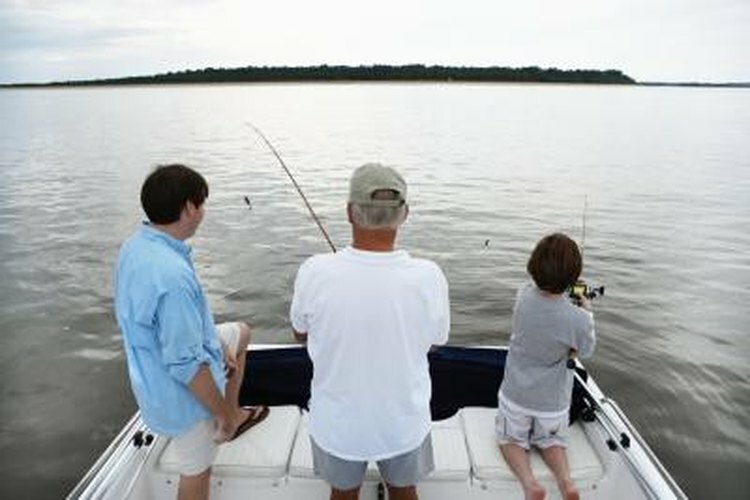 Is the Best Time to Fish Low or High Tide?